← Daubert In Virginia State Court: Where Do Things Stand Now? The famous baseball player Ernie Banks was known for his positivity and his love of baseball (captured in his iconic phrase “Let’s play two,” referring to his desire to play a doubleheader every day). It’s ironic, then, that his estate has been the subject of a bitter dispute between his family and his caretaker. “Banks family attorney Mark Bogen said Banks’ agent, Regina Rice, had the octogenarian sign a new will three months before his death. Another son, Jerry Banks, said he believes Rice coerced his father when he was ill. He said that before his father’s sudden death, “we spoke often to Ms. Rice because she made it difficult for us to speak directly to him. “However, she purposefully never told us that while our father was ill, he signed documents giving her total control,” Jerry Banks said. Bogen said the family didn’t know of the new will until after Banks’ funeral. Rice issued her own statement, saying she was carrying out Banks’ wishes. “Ernie was an intricate part of my life for over twelve (12) years. Ernie trusted me to carry out his wishes, some during his lifetime and others after his life. He made me promise to adhere to his wishes and I am determined to do just that,” Rice said. Source: “Ernie Banks’ Family, Caretaker Embroiled In Estate Dispute” by Holly Yan and Janet DiGiacomo, CNN.com, February 17, 2015. The nature of this dispute – between a caretaker who had been left all of an estate, and a disinherited family – is unfortunately more common than many realize. When families are confronting a situation where a caregiver is taking care of an elderly person in declining health, they can take several steps to try to minimize the potential for the caretaker to unduly influence the person to change his will. First, the family members should keep in frequent contact with their elderly relative, including making frequent visits. The article quotes a relative of Banks’ as saying that they needed to speak to the caregiver over the phone because she “made it difficult for us to speak directly” to Banks. However, it is important for family members to make personal visits to an elderly relative, in addition to phone calls, lest the old adage “out of sight, out of mind” results in the absence being a contributing factor to a potential disinheritance. If a family finds that a caretaker repeatedly and suspiciously does not put an elderly relative on the phone (perhaps under the pretense that he “needs his rest” or “can’t be excited”), then that’s a sure sign that the family should immediately go to visit the relative, find out what the nature of the caretaker arrangement is, and depending on what they find, consider contacting Adult Protective Services and retaining legal counsel. Second, the family should carefully screen a caretaker before he begins to provide care for a relative. Ideally, the family should look for a trained and licensed professional nursing or homecare agency to provide the care, compared to a neighbor, friend, or romantic interest. In my experience, often estate disputes with caretakers do not implicate well-respected licensed professionals anywhere near to the same degree as they do individuals with comparatively much less (if any) training and professional oversight (but that is not to say that even professionals don’t act unethically sometimes). Third, the family should ensure a support structure is available to the elderly family member so that if the elderly family member begins to feel pressured or isolated by the caregiver, the family member has several trustworthy people to whom he can express concerns. Ideally, this would entail ensuring that the elderly family member is receiving regular visits from clergy (who, because of their training, are often the best at spotting improper behavior by a caregiver at an early stage), family friends, former coworkers, etc. What should a family do if it’s too late, and they find out shortly after their relative died that he changed his will shortly before his death to disinherit them, and leave his estate to his caregiver? In those instances, it’s important for the family to talk to an estate litigation attorney as soon as possible due to the statute of limitations relating to the time period in which family members can file a lawsuit to contest a will. While some states provide for a relatively generous time period (such as Virginia, with a one year statute of limitations), other states require a challenge to a will to be brought within months or even weeks of the will being admitted to probate or the death of the testator (the person signing the will). Moreover, even in states like Virginia with a relatively longer time period for the statute of limitations, there is a risk that if the family does not take quick action, the caretaker (who may likely be named the executor too) may dissipate or waste the assets of the estate. All states permit a will to be declared invalid if it was the product of “undue influence” (i.e., if it was not the result of the free will of the person signing it). Many states provide (either by common law or by statute) that a presumption of undue influence arises in situations where the testator was elderly and/or faced declining mental abilities at the time of the will execution, and the caretaker had a fiduciary relationship, or a relationship involving dependence, with the testator. This presumption operates to shift the legal burden to the caretaker to rebut the notion that the will was the product of undue influence (in other words, normally the family member challenging the will bears the legal burden of proving that the evidence shows that the will was a product of undue influence; instead, in situations where the presumption arises, it is presumed that the will is the product of undue influence, and the caretaker then bears the legal burden of proving that it was not a product of undue influence). It should be noted that the issue of whether there is a presumption at all, and if so, what its legal basis is, what its elements are, and how it operates, is a very state-specific inquiry (for example, in Virginia, the presumption arises via common law, and due to varying language examining the elements in different factual contexts, the very language of the elements themselves is often disputed). Moreover, there is a formidable body of case law in Virginia discussing the application of each of the elements in an array of contexts, so often this inquiry is very fact-specific. The challenging party must establish each element by clear and convincing evidence. Jarvis v. Tonkin, 238 Va. 115, 120 (1989). And even where the presumption arises, the burden of production shifts to the caretaker, but the ultimate burden of persuasion remains with the challenger to establish, by clear and convincing evidence, that the will was the product of undue influence. See e.g., Weedon v. Weedon, 283 Va. 241 (2012). In sum, it’s very important for family members to take a proactive approach to try to avoid an unscrupulous caretaker from attempting to unduly influence an elderly family member to change his will. In the event they are not able to prevent a will change, however, family members should immediately seek legal counsel, as the statute of limitations for a will contest can be very short, and it can completely bar a lawsuit seeking to contest a will on the basis of undue influence. 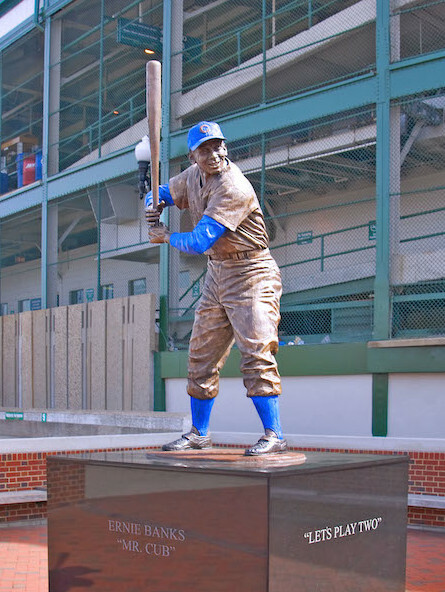 This entry was posted in Celebrity Estate Disputes, Disinheriting Family Members, Undue Influence, Will Disputes and tagged Caretaker, Disinherit, Ernie Banks, Pressure. Bookmark the permalink.